No riding today because we had to trailer from Kakabeka Falls to Geraldton. We had to by pass Thunder Bay because of lack of trails. 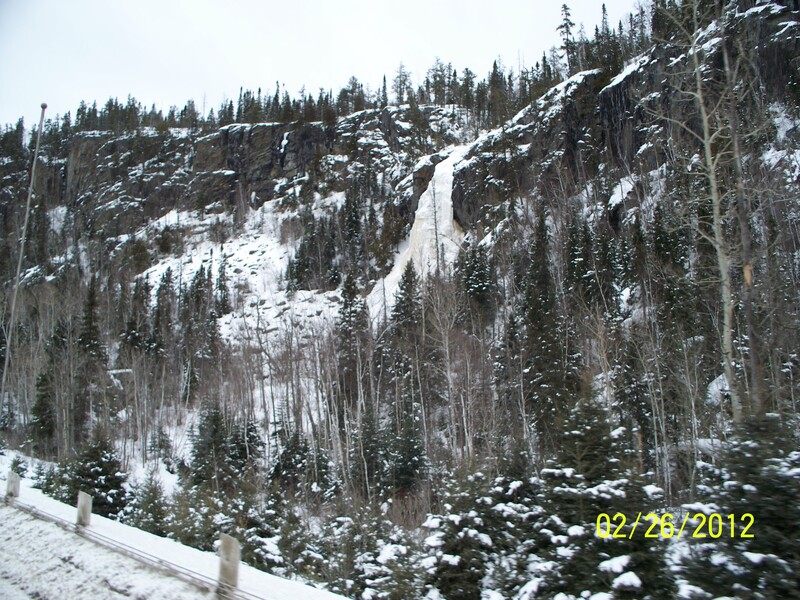 These pictures were taken from Highway 11 as we were traveling. The weather here at Geraldton has cooled down it is 12 degrees right now and it is expected to go down to -02 tonight. The palisades were amazing in the full light of dawn when I left ThunderBay…they look just as majestic with snow and ice on them. Thanks for this pix. wow what beautiful scenery. I have been looking for our buddy Ralph Gordon, anyone know where he is. Hope you are still able to hang in there, sounds like some real challenges. Good luck to everyone.